Virtual Private Servers/Virtual Dedicated Servers are part of dedicated server sharing its physical resources. ScopeHosts uses latest Hypervisors on Hybrid Technology enabled Hardwares and Servers. VPS Web Hosting can be controlled and monitored with User Friendly GUI Control Panel SolusVM. This hosting solution allows you to get full Dedicated Server advantages at a lesser expenses. The best hosting service to experience the ultimate power over the virtual server. Now relish the complete power of Virtual Private Server with customer-friendly platform. Get 1 IPv4 and 5 IPv6 Addresses with each Virtual Server. Connectivity of 100Mbps/1Gbps Volume Network Lines. Get Full Root/Administrator Access on Subscribed Server. OpenVZ one of the oldest and stable Hypervisor, enables creation of Linux virtual servers alone. Suitable for rapid growth business. Kernel-based Virtual Machine(KVM) turns the Host Linux Kernel into Hypervisor. It Supports both Linux and Windows OS. Managed VPS Hosting is provided for speed, security, reliability and scalability. Provided on OpenVZ Virtualization and Free cPanel. Why you should Host at SCOPEHOSTS? Our Virtual Servers(VPS/VPS) are provide on Anytime Scalable Infrastructure, either be a Resource Consuming Website or ERP Application. We are located in Multiple locations Netherlands, Germany and Russia. We provide the most Reliable platform for your Virtual Server with Hassle-Free Setup and Flexibility to install and configure the Server as per your needs. Existing resource not enough? Upgrade the Virtual Server resources without downtime. Unsatisfied with our service or support? Relish 30 Days Moneyback Guarantee. We guarantee 99% uptime on our state-of-the-art network connectivity. We do weekly remote automated backups of virtual server. We store two backup`s. Order with us in 3 easy steps and use VPS with pre-installed Operating Systems. We make sure our prices are according to Hosting Industry Standards. Which VIRTUAL SERVER HOSTING should I Choose..? VPS Hosting does not suite your Project..? Servers Mounted in Top TIER Datacenters. Cutting Edge Technology Enabled Hardware's/Servers. 1. What Is Unmanaged VPS hosting ? Ans: VPS known as Virtual Private servers or Virtual Servers or Virtual dedicated servers. Virtual Private Servers comes with Dedicated resources and runs an isolated operating system to fulfill the Basic Needs of handling Multiple Applications. Unmanaged virtual servers refers the client has full root/administration access to manage all the activities of server like security constraints, software Installation, resource monitor, and more without an Expert hosting support. 2. When I need a Virtual Server hosting ? Ans: Is your website traffic more than a shared hosting can handle? Stop Searching for new upgrade, switch to Virtual Server hosting where you have all the control over your resources, and can run any type of web applications, database driven websites. Our Web Advisors will assist you in choosing best vps configuration, which will make your business grow faster. 3. What type of websites/applications can I host on Virtual Private Servers? Ans: Are you Searching for Best virtual server hosting service to host websites, Online store(E-commerce sites), CMS Applications, MetaTrader 4 Forex Application, OpenVPN? VPS hosting is an Ideal choice for you. Scopehosts provides Linux servers and Windows servers built on Best Virtualization technologies with high connectivity, 99.99% uptime and Great Performance. 4. Where are the servers located? Ans: To accomplish Optimum results, ScopeHosts virtual private server hosting services are located at TIER III Datacenters in Netherlands(1Gbps), Germany(100Mbps) and Russia (100Mbps). 5. 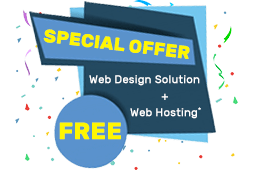 What all you can get with our best hosting solution? Ans: Yes, ScopeHosts do take care of your needs. Receive more than expected like, Free SolusVM Panel, Free Dedicated servers, DDOS Protections, Free Plesk Panel*, Free Migration, Full root/administration access and much more. 6. How Quick is delivery of server ? Ans: ScopeHosts avoids queues. Once we receive the payment Instantly your virtual server will be delivered. Our automation system will send the Virtual Private Server details mail to registered Email ID with Login Details. 7. How can I manage the virtual server ? Ans: With the use of remote desktop access, you can easily manage your server. You can add and delete software or data to and from your server and you can optimize performance, scalability and throughput. 8. What virtualization Scopehosts supports ? Ans: ScopeHosts provide Virtual Private Servers with OpenVZ and KVM virtualization. Both have its own benefits. 9. What is the difference between OpenVZ and KVM ? Ans: OpenVZ supports only Linux while KVM supports both Linux as well as Windows. Do read this article for more details on pros and cons of OpenVZ and KVM Virtualization. 10. How do I access RDP ? Ans: You will be having RDP access on windows based Virtual Private Servers, you can access it through your local desktop with using Remote Desktop Connection application. 11. What billing cycle can I choose for ordering virtual server ? Ans: You can choose Monthly, Quarterly, Semi-annually and Annually cycle based on your requirements. 12. Why SSDs are used as hard-disk instead of HDD ? Ans: A solid-state drive (SSD) is a solid-state storage device that uses integrated circuit assemblies as memory to store data persistently. SSD’s do not have any moving parts, instead of data on magentic platters, SSD’s store data using flash memory. We have Enterprise SSD`s mounted on Hardware RAID-10 Controller give optimum best results for your website pages to load 20x Faster than normal HDD`s. 13. Do you provide virtual servers for trial purpose ? Ans: No, we do not provide Virtual Private Servers for trial purpose. But we do have 30 days moneyback guarantee and get refund on cancellation of the subscribed service. We retain hassle-free moneyback policy. 14. Is it possible to upgrade to any other plan later ? Ans: Yes, you can upgrade to the desired hosting plan. The upgrades within virtual server plans will be done right away, there will be no downtime to your website. For the upgrade you will have to pay the difference amount. 15. How can I manage my server ? Ans: To manage a virtual server, you need basic knowledge of server administration. You will need the server management knowledge to administer the operating system you install (Linux or Windows), configure your applications and more. If you need a virtual server but don't think you have the technical skills required to manage it, we would recommend getting in touch with our server management support experts to get your queries resolved. Also you can buy server management service as addon by us or you can go for Managed VPS hosting service.